Partner Steve Finerty earned his B.S. in Business from Drake University and his J.D. from the University of Missouri School of Law. He joined Moneta in 1986. When advising clients, Steve draws upon legal and investment training, as well as more than 30 years of professional experience. He uses this experience to advise individuals and institutions on how to best accomplish their goals and objectives. Along with the rest of the Finerty Team, his goal is to find the best possible solutions for each individual client need. 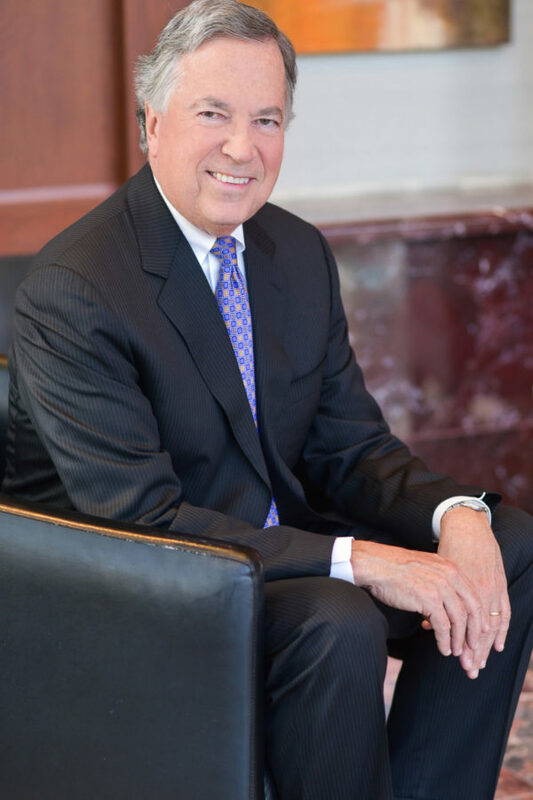 In addition to serving on the Moneta Board for over thirty years, Steve co-founded and serves as Chairman of Argent Capital Management LLC, which manages the large cap and small cap U.S. stock portfolios for institutions and high net worth individuals. He also co-founded Retirement Plan Services LLC, a full-service retirement plan administrative company which was sold in 2018. In addition to his family CFO responsibilities, he acts as an advisor to a large number of qualified retirement plans and endowment sponsors on administrative and investment issues. Steve is active in the civic community and is involved with the following organizations: Forest Park Forever (Past Chairman), Saint Louis Symphony Endowment Trust (Past President), St. Louis Municipal Opera (The Muny), and the St. Louis Zoo, where he serves on the Executive Committee. He is Past President of The Magic House and Community School, and served on the Executive Committees of John Burroughs School, Webster University, and the St. Louis Community College Foundation, among others. He is joining the Drake University Board of Trustees in 2019.